Some of today’s richest and most stimulating research projects in cinema and media studies have at their heart the tools of data analytics. And Marina Hassapopolou at the NYI Center for the Humanities has just put online a highly informative blog post that is a great introduction to the range and breadth of this cutting-edge work. The works cited in her piece are a good place to begin exploring further, as is the website for an upcoming conference in New York, Transformations I. The sub-title for the conference in mid-April is ‘Cinema and media studies research meets the digital humanities’, and while the full programme is not yet available there is a good reading list and an invaluable listing of relevant research projects, most of which have substantial online presences. I am only barely literate in this field but I intend to try to educate myself further by tackling some of this reading and engaging with a number of the projects over the coming weeks, and I’ll aim to post reflections. 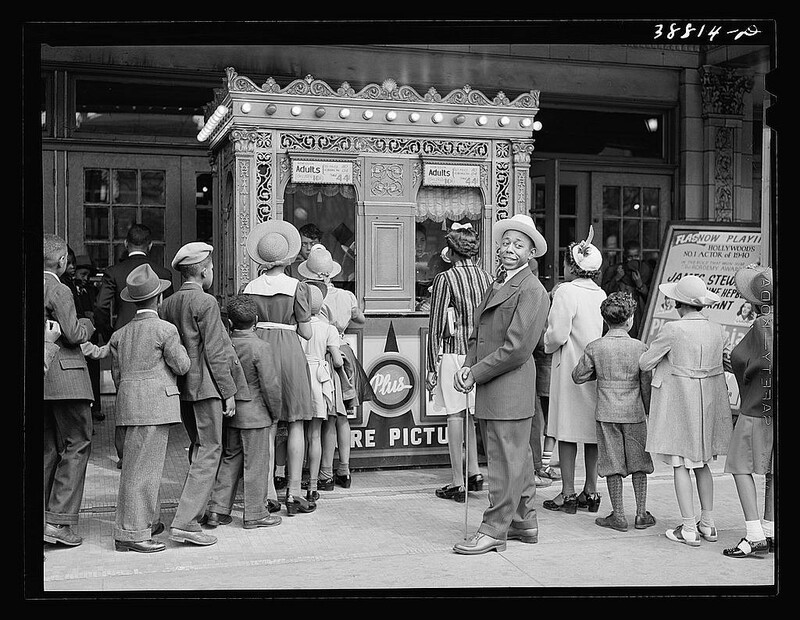 Image: Russell Lee, In front of the movie theater, Chicago, Illinois, 1941, from Photogrammar, a web-based platform featuring the the 170,000 photographs from 1935 to 1945 created by the United States Farm Security Administration and Office of War Information; Photogrammar is one of the projects referenced in the research projects for Transformations I, and it is one of the resources that I intend to highlight in more detail in the coming weeks.